The Composition Page analyzes chord progressions as you enter them, helping you understand how and why certain chords work, and allowing you to create and analyze your own original functional harmonies. Reference Pages explain critical and often overlooked or obfuscated elements of music theory clearly and concisely. 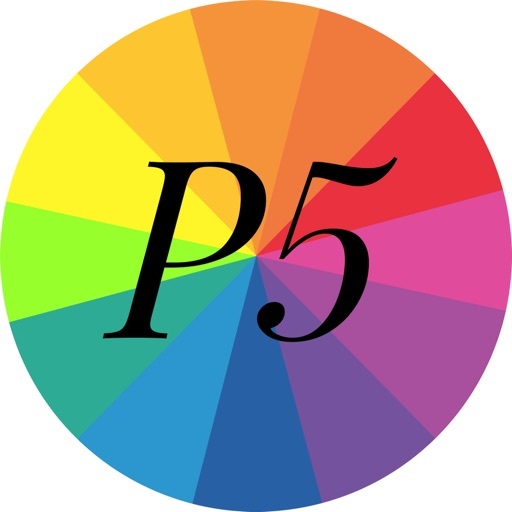 The Perfect Fifth is found throughout music just as the Golden Ratio is found throughout the natural world, the visual arts, and architecture. 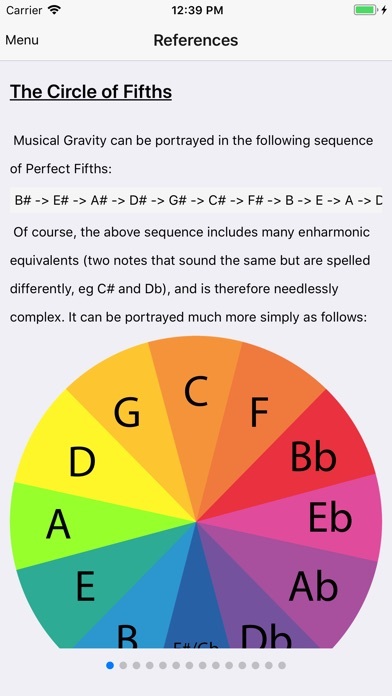 Concepts of scales, key signatures, and harmonic functions are best understood as variations on the pattern of perfect fifths. 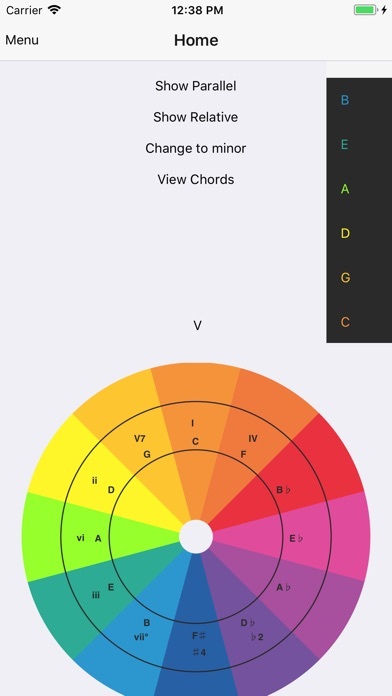 The P5 App uses this crucial yet simple concept to build a coherent, logical and intuitive understanding of the core principles of music theory. 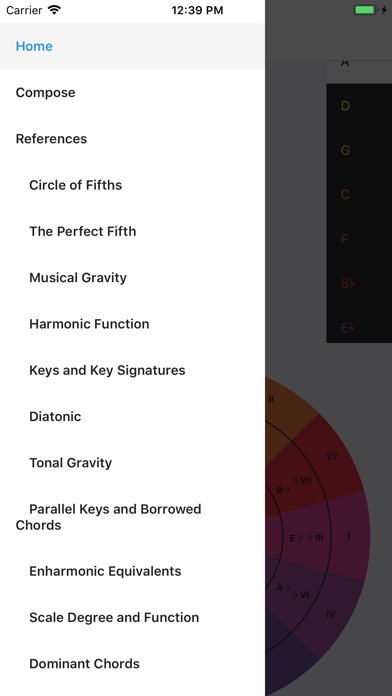 Beginning musicians using this system will have a significant advantage over musicians trained in outdated and convoluted approaches to music theory, and experienced musicians will find their understanding streamlined and simplified. 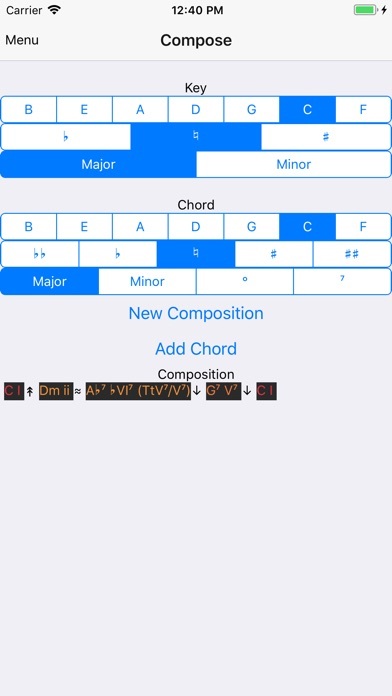 This makes learning theory more logical, more intuitive, and more fun, and most importantly empowers users to begin creating their own original music at a high level.